Mountain Goat Brewery is a beautiful example of a well-done warehouse conversion with carefully considered sustainable elements. This characteristic Richmond venue is ideal for weddings, private parties and intimate occasions. Mountain Goats carefully crafted beer combined with Luckmans flexible menus is a great combination for your important day. 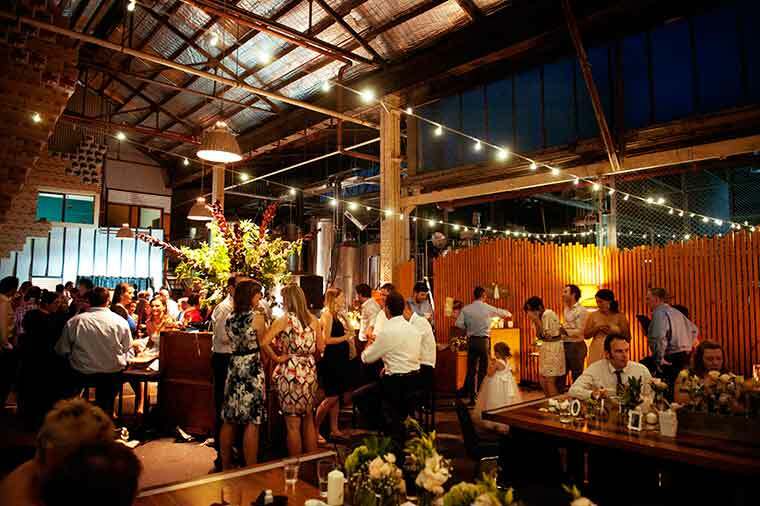 Ten metre warehouse ceilings and original red brick walls make a spectacular backdrop along with large brewing tanks. Mountain goat brewery can accommodate up to 150 people in a variety of formats and is within easy reach of the city and public transport.